/ Modified jun 7, 2018 9:58 a.m. The power-generating plant is owned by several utility companies including its operator the Salt River Project, which owns 42.9 percent and controls another 24.3 percent on behalf of the U.S. government. The utilities decided early this year to shut the plant down when its lease expires and use cheaper power sources. "Just 90 days! Just 90 days!" the crowd chanted. Some in the crowd carried signs that read, "We're Worth 90 Days." "We don't think that 90 days is too much to ask," Clark Tenakhongva, the Hopi Tribe's vice chairman, told the group. He said that 85 percent of the tribe's operating budget revenues come from the generating plant. 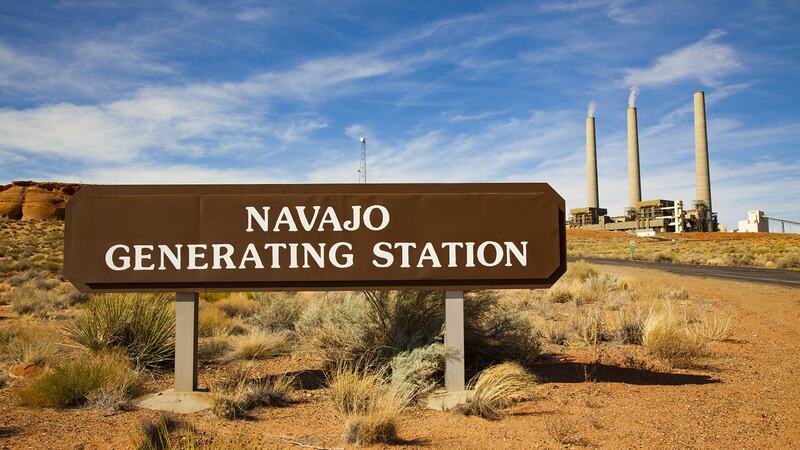 Added Navajo Nation President Russell Begaye: "We should continue to work to find solutions to keep the plant operating while supporting both the Navajo economy and families." It was the latest effort by employees of the 2,250-megawatt station to save their jobs. The plant's sole coal supplier, Peabody, has hired an investment banking firm to find a new owner for the station and the Kayenta Mine that supplies the plant with coal. Demonstrators were heartened by news that a Chicago-based company called Middle River Power has expressed interest. Jolene Bitsui, a 42-year-old single mother of four grown children who services heavy machinery at the coal mine, said her job has allowed her family to continue living on the Navajo reservation. "Closing the plant and the mine will take away hundreds of jobs from Navajos and Hopis, and these are good jobs," she said. "There really isn't any other business out there, any employer out by the reservation," said Floyd Singer, a 67-year-old member of the Hopi Tribe who made the five-hour trip to Phoenix with his son and three grandchildren. The Hopi Tribe and coal mining groups last month sued the operator of an Arizona aqueduct system known as the Central Arizona Project to halt the plant's closure when its lease expires near the end of next year. Middle River Power, a portfolio company of Avenue Capital responsible for managing its power plant investments, said in a May 2 letter to the water conservation district's board president that it was discussing a possible plan for the station's future with the plant's operator and owners and federal and tribal officials. "We are immediately advancing discussions with the existing non-federal owners, tribal leadership and other stakeholders to discuss next steps for a functional transition to new ownership," wrote Mark Kubow, Middle River Power's president. Company officials did not immediately respond to a request for more details. Salt River Project spokeswoman Scott Harelson said the station's owners decided to end its participation in the plant because coal generation cost so much and they had "not received an offer or entered into negotiations with any potentially interested party" to buy it. The Central Arizona Project, run by the Central Arizona Water Conservation District, is a primary customer of the plant, using the power to move water to residents and businesses in the state's Maricopa, Pinal and Pima counties. The plant also provides electrical service to other customers in Arizona and parts of Nevada.